Sometimes you just want to dress up in a fancy 2 piece outfit an be as girly as possible. 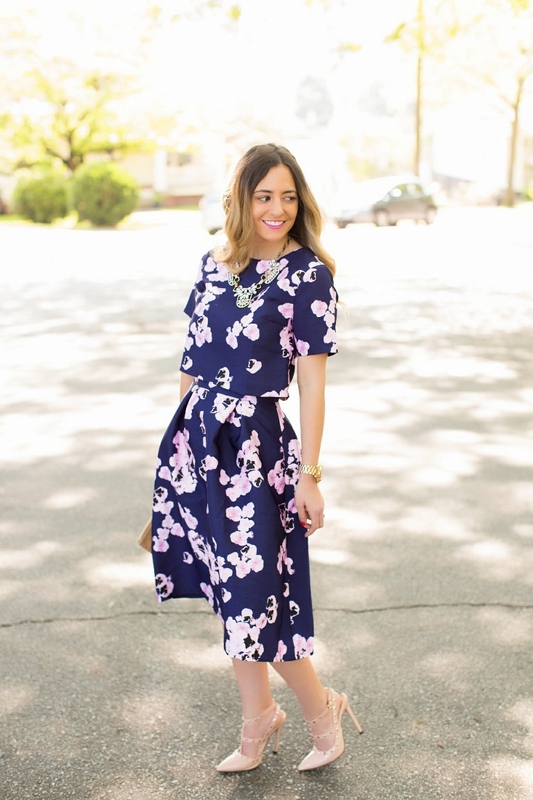 I'm still loving this floral co-ord set, even as we head out of summer. 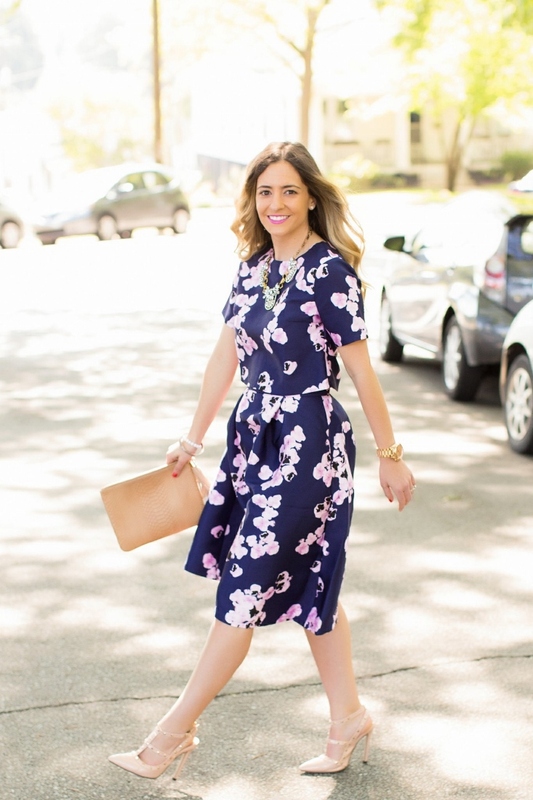 I think transitioning your floral prints into fall with darker colors like rich purple, navy and deep corals, is the perfect way to continue to enjoy floral prints throughout the cooler season. Football season is back and so is one of my favorite series, #BADxGameDay! If you're new to my blog, you'll soon discover that I'm a HUGE football fan and an even bigger Florida State fan. So every few weeks, I feature an outfit of what I wear for FSU Game Day. The best part is that these are usually just regular clothes I find in my school colors, so even if you're not a Seminole, you'll still love the look. Last month, I had an awesome time shopping at Carolina Premium Outlets. I found a ton of fall items, and now that the weather is starting to slightly cool off, I can finally share them! This dress from Gap Factory is fabulous. So comfy and chic. Once the temperatures cool down slightly, it will look super cute with a layered vest and some booties! I topped this Game Day look off with my fabulous garnet and gold monogrammed Grateful Bags cross body and some gold metallic slip on sneakers. Lately, I have been so obsessed with sneakers. They're so comfy and add that effortlessly cool element to your outfit. Don't forget to follow me on instagram to see what other outfits I'll be sporting on Game Day. You can get a sneak peek every Saturday! Go Noles! Last week, I hit my last party of the summer. Since it took place after Labor Day, I figured it was the perfect time to smash that age old rule of "No White After Labor Day." I say, why not wear all white after Labor Day? It's officially time to kiss summer goodbye. Although we won't say goodbye to warmer daytime temps, the morning and evenings are starting to cool off. Finally! I'm ready for a little bit cooler weather. My outfit idea during this transitional time? 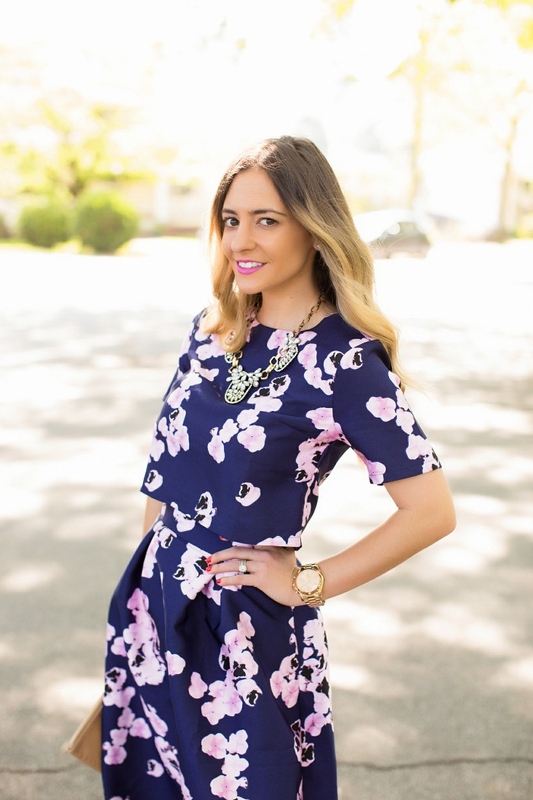 A culotte jumpsuit! Remember when culottes were.. well cool? They're finally back in style! And if you didn't think you could wear them heading into fall, think again. Why not throw a blazer or light sweater over top for nighttime? 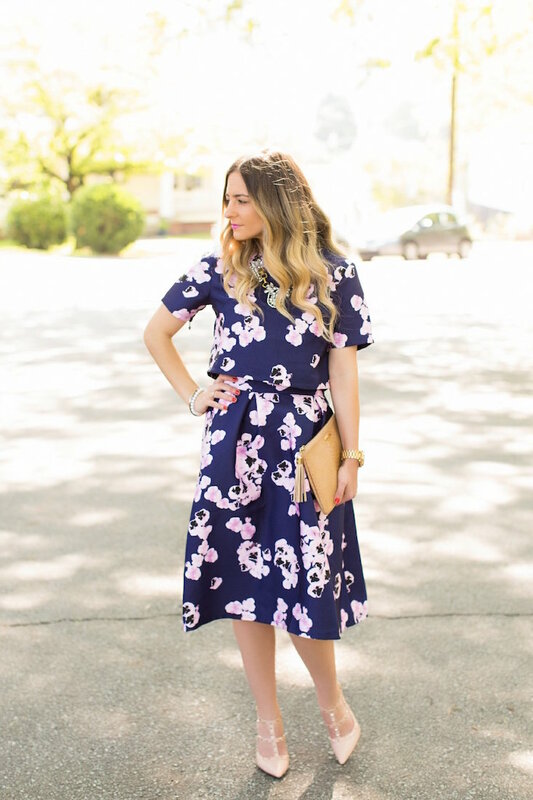 Swap out your sandals for pumps and you've got a perfect "beginning of fall" going out look!